With Memorial day coming up (and 4th of July not far behind), no doubt you are planning a fun celebration. And what is a party without some firecrackers??! So here is a super fun way to pass out cookies that will make the kids “ooh and ahh” when they pop in their mouth! To make it easy, I am showing you the recipe in photos. 6) The kids will bite in and they will “explode” in their mouths like a firecracker! 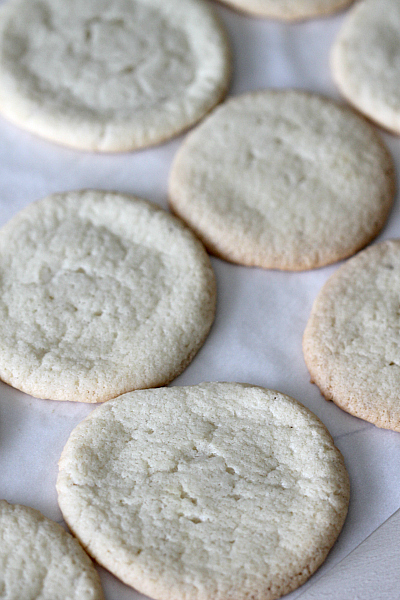 You may also love this peanut butter cookie recipe or this soft chewy sugar cookie recipe. I love these. I am making them for our memorial day party! I know this post if from last year but it showed up on my pinterest and I am so glad that it did. Our kids would love these! I loved Pop Rocks as a kid! I’ll have to see if I can find Pop Rocks, the kids would love this! This looks like a fun treat for the kids and the whole family to enjoy at our yearly celebrations. Instead of using gel and having to get out (and dirty) the blender, just use a small Tupperware bowl and mix the sugar and 5-10 drops of blue food coloring. My little kid loves shaking the bowl until it’s all mixed up. I did pretty much the same thing. I don’t have a blender and I didn’t want to buy gel, so I threw some sugar and food coloring in a mason jar and shook. where did you find pop rocks? I haven;t been able to find them locally. Hi Trisha 🙂 I was wondering what your thoughts are regarding shelf-life after you add the pop rocks? I was thinking of including these in some packages to be sent overseas to our military (typically takes up to 2 weeks to arrive) and was wondering if the pop rocks would be “fizzled out” by then since they start popping when added to the frosting? Thank you so much for your help – and the fun recipe! How much sugar and blue gel paste do you put in together? I’ve been wanting to do cupcakes with pop rocks! This might be easier! This is a great idea! We love to eat Poprocks! These are SO cute. I bet my kids would love these!